Renowned optics manufacturer Carl Zeiss is making its own alternative to Samsung’s Gear VR headset that uses an inserted smartphone to generate a 3D world. Unlike Samsung’s offering, the Carl Zeiss VR One will be compatible with a wide range of smartphones between 4.7″ and 5.2″, although you will have to purchase a special tray for each new device. Initially, the VR One will be come with compatible with the Apple iPhone 6 and Samsung Galaxy S5, although the company has promised a wide range of trays for other devices. Each tray is set to run you an additional $10 on top of the $99 asking price. The VR One will come with two multimedia apps that will let you watch movies in 3D, browse photos, and use Google’s street view. The company also advertises being able to use the VR One to “interact with Augmented Reality,” but it isn’t very specific on what that means exactly. 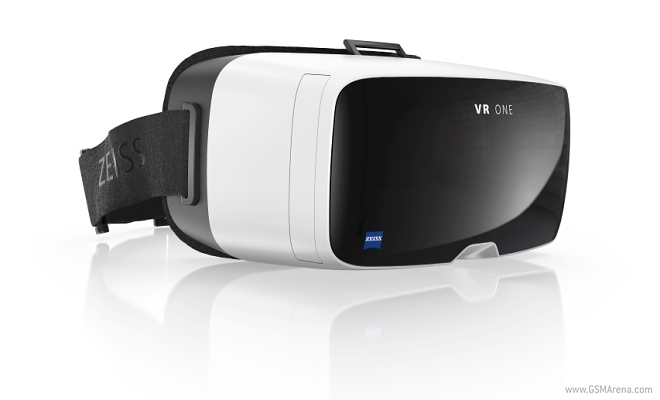 Early adopters will be able to receive their VR One’s as soon as this Christmas, with a wider release expected in 2015.